Xi Jinping will meet with Pakistani PM Nawaz Sharif to discuss the $62 billion China-Pakistan Economic Corridor (CPEC) on Saturday. CPEC, sometimes called the Chinese Marshall Plan, contains a vast array of infrastructure projects designed to facilitate transportation within Pakistan and connect the country to China’s sometimes-wayward Xinjiang province. 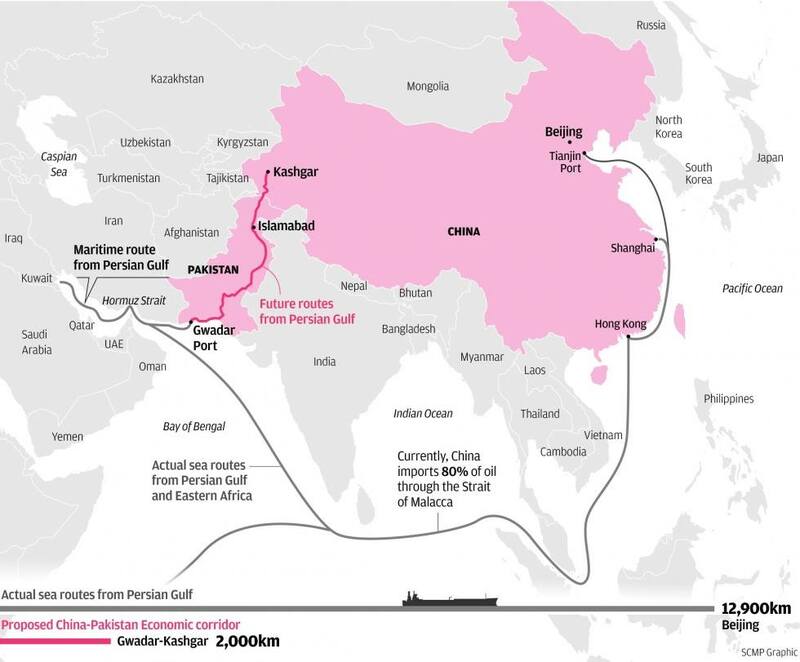 When completed, the rail and roadways will connect China to the southern Pakistani port of Gwadar and shorten the current 12,900-kilometre sea-route around India—China’s strategic regional rival—to about 2,000 kilometres. However, in its most recent report, Pakistan’s central bank noted that Chinese investment last quarter dropped by 54%. Mr Sharif will be seeking reassurances that funds will continue to flow; particularly important given that 60% of Chinese investment is in the crucial energy sector. Despite security concerns—some 50 CPEC workers have been killed by pro-India separatists since 2015—China will not pull out of its strategic partnership with Pakistan. Instead, China has doubled down, increasing its military cooperation with Pakistani forces. Beijing has already delivered three patrol vessels this year to protect Gwadar Port and has plans to quadruple the number of troops stationed there.